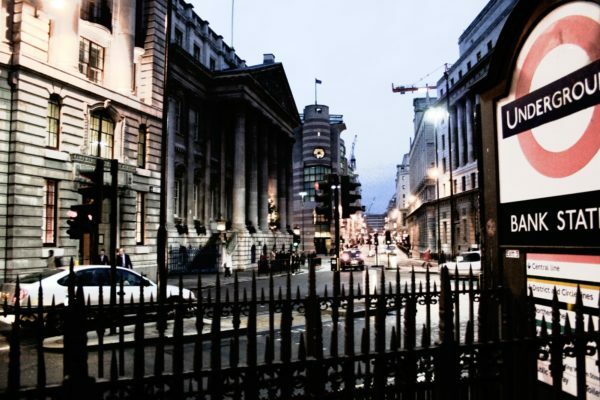 Home » Blog – eat/drink/read/relax » Blog » Do you know where London’s five financial hubs are and how much it costs to rent a pad in them? Two things most people know about London: it’s huge – the size of Berlin, Madrid and Paris combined  – and it vies with New York to host the world’s top financial services centre . In fact, the financial sector is so much a part of London, saying you work “in the City” is shorthand for saying you work in its finance industry. But the days when London’s financial hub was mainly confined to the City – the area around Bank metro station – are gone. 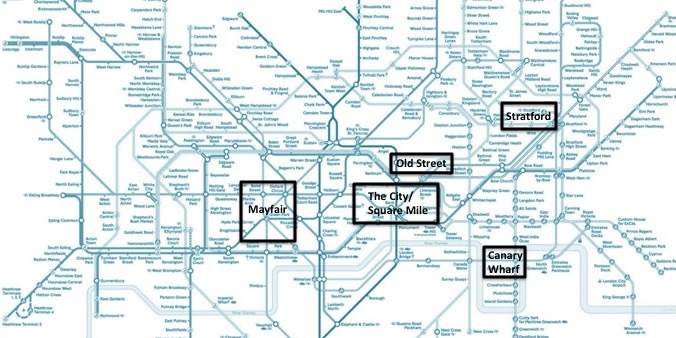 Canary Wharf, Mayfair and Old Street are also areas that attract financial firms with their own, distinct identity. And with the Financial Conduct Authority (the FCA) moving to redeveloped Stratford this year, could this become London’s next financial frontier? 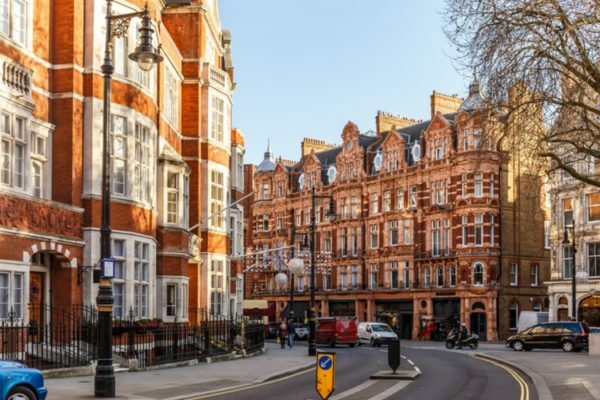 In this article, with help from property expert Jeanette May, who specialises in helping people find homes when they relocate to London, we take a brief tour round each of these areas to look at what makes them distinct, the finance firms which have made their home there, and what a budget of £2,000 and £10,000 per month could get you on the rental market. Traditionally home to some of the world’s most respected financial institutions, the City of London is a defined area around Bank underground station (see map below) with its own local governing authority. Known colloquially as the ‘Square Mile’ (it covers an area of 1.12 square miles or 2.9km), the City was home to London’s historic beginnings in the first century AD. The boundaries of the City follow a meandering route, stretching as far as Temple to the west, Barbican to the north, Aldgate to the east and the river Thames to the south. Over the centuries, this area has represented the centre of commercial life in London, ultimately becoming home to numerous insurances companies, banks, and financial organisations. While many of these firms have now moved further east to Canary Wharf, prestigious institutions such as the Bank of England (founded in 1694), London Stock Exchange (in 1698) and Lloyds of London (in 1688), remain rooted in the City. The City is home to a relatively small number of residential properties, many of which can be found within the brutalist architecture of the Barbican (renowned arts centre), and an increasing number of modern, luxury developments such as The Heron and Sugar Quay. The number of people who live here is very low for London (approximately 8,000 although over 400,000 people commute into the City every day for work ), due to the prevalence of office space and short-term accommodation. However, property developers are working on this as we speak so it’s an evolving picture. Many apartments are used as pied-à-terres by those with more spacious residences outside the City which means this area can sometimes feel a bit like a ghost town at weekends, with most pavement traffic taking the form of tourists. Even within such a small area the style of properties available varies considerably, but the overriding characteristic is a lack of supply and increasingly expensive new builds. subject to seasonal demand, you may be able to find a studio in one of the high end developments with amenities but sadly, most will be priced above £2,000. For around £10,000 per month you can rent a sumptuous 2 or 3 bedroom high specification apartment in a modern development with luxurious amenities. However, in some developments, the largest and most luxurious apartments will remain outside even this price range. About 4km east of the City lies Canary Wharf. 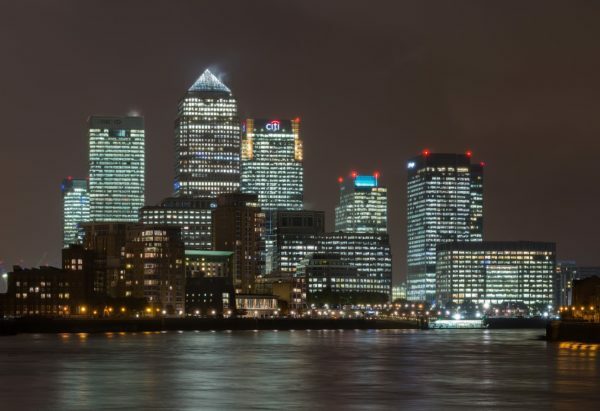 Since its faltering beginnings as a purpose-built office development in the 1980s on disused docklands, Canary Wharf has evolved into a thriving financial district that is now home to many of the world’s largest banks. Over recent decades, these banks have migrated their offices from the City to Canary Wharf’s more practical and cheaper buildings. Continued demand means construction sites and cranes are an ever-present backdrop to life here and the skyline is dominated by gleaming skyscrapers which house offices and residences alike, with a more American look and feel to it. Did you know? Canary Wharf is a privately owned Estate, owned jointly by Brookfield Property Partners and Qatar Investment Authority. The owners have taken out injunctions in the past to stop protesters entering the area. Popular with ex-pat bankers seeking a more modern, less traditional home within London, Canary Wharf offers a large range of high-end apartments, many of which have on-site facilities, concierges, and even air conditioning (useful for those two weeks of hot weather in a typical British summer). Its clean streets and expansive underground shopping mall offer a different style of living from much of London, and better value for money. Transport-wise, the combination of Docklands Light Railway (DLR) stations, an underground station, Thames Clipper boat routes, and the forthcoming (much anticipated and much delayed) Crossrail afford easy access to Zone 1 and elsewhere in London. a 2 bedroom flat in an older development. For around £10,000 per month: this is more than sufficient to rent a 3 or 4 bedroom split-level apartment in a modern apartment building with amenities such as concierge, gym and swimming pool. Connecting the areas of Clerkenwell, Shoreditch, the City and Islington, Old Street is not just an underground stop and junction but a global start-up hub, said to be behind only New York and San Francisco. The Old Street junction has consequently become known as Silicon Roundabout due to its recent incarnation as home to the fintech industry, and a multitude of other technology start-ups. These firms began to come here after the financial crash, with UK Government encouragement, given that at the time office rents here were cheaper than in the City and Canary Wharf. However, with rents increasing, the number of start-ups setting up shop in Silicon Roundabout has fallen in the last couple of years. 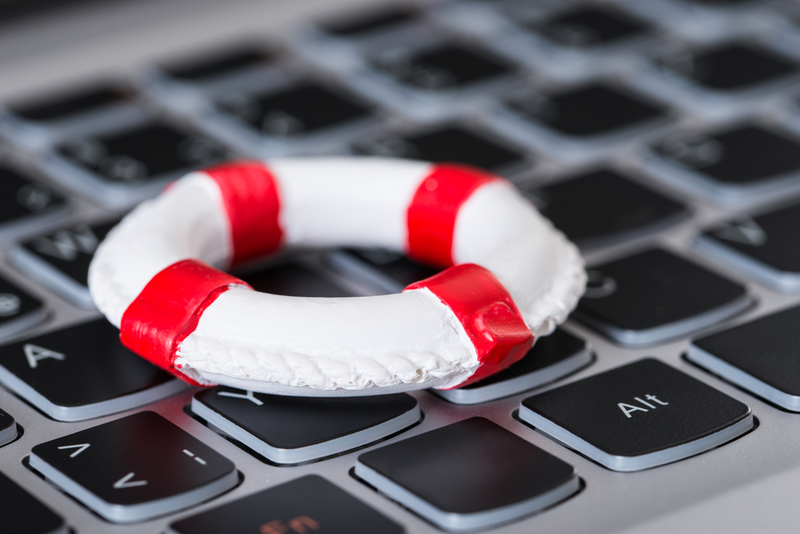 Fintech employees are often at the younger end of the spectrum and keen to live close to the office, rather than stoically sit out a one-hour plus commute. The resulting impact on the local property market is a high demand for reasonably priced rental properties, and an ever-growing quantity of cafes, restaurants, bars and street food in the surrounding neighbourhoods. Areas such as Shoreditch and Islington are also popular amongst students, however, with overseas students in particular displaying levels of wealth beyond their years. 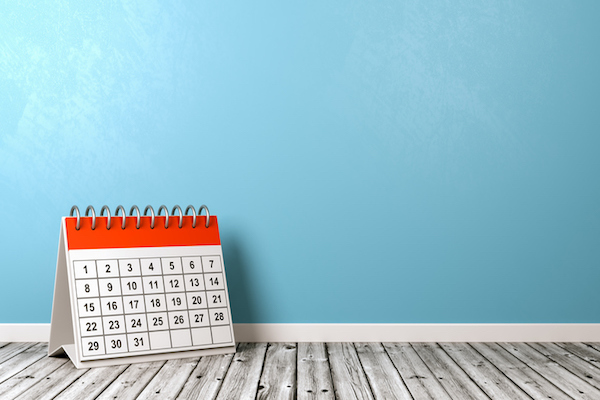 This creates an exceptionally busy market for rental properties, particularly during the summer months. New builds are going up apace wherever land can be made available, but with price tags not suited to everyone’s budget. Large swathes of the area are also still occupied by Georgian or Victorian buildings which have been converted into flats and refurbished to varying standards. a studio apartment in the high-end new developments with amenities. For around £10,000 per month you can easily bag yourself a 2 or 3 bedroom penthouse, oozing character and space. a small 1 bedroom flat with some compromises, for example, possibly over commercial premises, not modern, up several flights of stairs in a building with no lift etc. For around £10,000 per month you could get a high spec 2 or 3 bedroom apartment in one of the more prestigious addresses. So this one’s a bit of a punt but oracles as great as the Evening Standard have proclaimed Stratford to be the “new business hot spot in London“. Plus the FCA just moved here in July and as its predecessor, the Financial Services Authority, was ahead of all the major banks in basing itself to Canary Wharf, perhaps the UK regulator will prove to be a trendsetter in Stratford too? Previously a somewhat overlooked area, Stratford took centre stage for London’s 2012 Olympics which led to regeneration of the area as the Queen Elizabeth Olympic Park and large Westfield shopping centre which hosts hundreds of shops and restaurants were built in readiness to host the games. 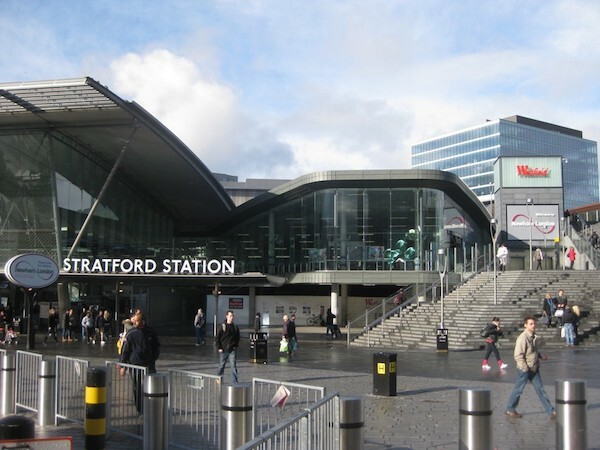 Stratford also has excellent transport links with national train, DLR and underground links providing easy access to and from central London. Stratford International Station opened in 2009 with the “international” bit being part of a plan for Stratford to be the Eurostar stop before Eurostar trains headed to other parts of Britain. Never happened. But on the plus side, Stratford’s high-speed domestic commuter line means it’s a seven-minute direct journey to London St Pancras, for connections with Eurostar. Since the Olympics, there continues to be a lot of construction in this area with new accommodation apartment blocks as, along with its great transport links, shopping centre and restaurants, it has the advantage of being cheaper than the other areas we’ve looked at above. For around £2,000 per month you can find a high quality 1 bedroom flat in one of the modern developments with amenities (gym and concierge) close to the station and shopping or for a little over £2,000p/m, a 2 bedroom flat in one of these developments. For around £10,000 per month refreshingly you may actually struggle to spend the whole of this budget and you could easily afford a top quality penthouse in one of the new developments. Since 24 June 2016, London’s property market has been holding its collective breath, poised and waiting for the anticipated fallout from the unexpected referendum result. While most experts agree there will likely be a fall in prices, and to some extent this has already started, there isn’t consensus on what the exact impact will be. Unsurprising, given the on-going uncertainty over the Brexit terms. However, Bank of England Governor Mark Carney caused quite a stir mid September 2018 by predicting house prices could fall by up to 35% in the case of a no-deal Brexit. There are a number of factors to take into account when considering what may happen to house prices. It is estimated there are over one million EU citizens living in the capital at the time of the last census and whether they will be able to, or choose to stay, long term remains to be seen. In addition to the potential movement of people through choice, it’s possible that large multinationals (already confirmed in some cases) will relocate their main offices outside the UK. Some experts believe that a drop in the market is inevitable and should even be welcome, given the vast London house price to income ratio and that without a house price “correction”, many people are unable to contemplate owning a property other than through a government-backed scheme such as shared ownership. 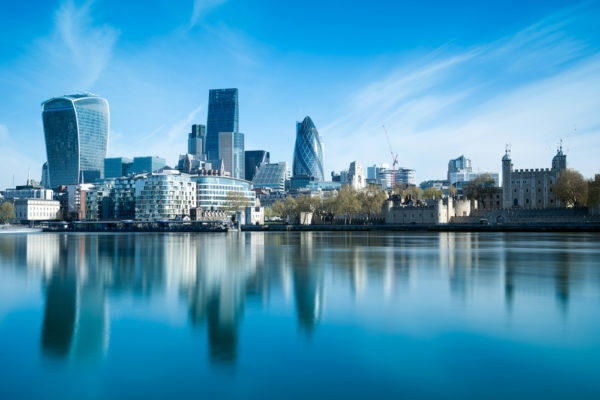 The recent devaluation of sterling, which could be further affected by a ‘no-deal’, or – dare we say it -, ‘bad deal’ Brexit, could make London property an even more attractive investment to overseas buyers who in recent years have been keen investors here. In another twist of economic fate, London has firmly established itself as the tech capital of Europe, a position that so far seems unaffected by the Brexit vote. Some of the world’s largest tech companies continue to invest in ever-growing office space in London and recruit staff from all across the world to work here. Start ups and smaller tech companies also continue to spring up and grow at the speed we have come to associate with this very modern industry. So perhaps London’s latest reinvention as a tech hub will also help to mitigate against a severe crash in the housing market. It is, after-all, a City that is renowned for ever evolving and ever-thriving over many centuries. In sum, Brexit is an unprecedented step in one of the world’s largest and most resilient economies, so it’s impossible to predict the exact course this will take on London’s ever-watched property market. If you’re looking for help in finding rental accommodation in London, email Jeanette on Jeanette@jmrelocations.co.uk. You can also visit her website for more details. Next time…. we’re going to follow up this article with a look at some great places to eat and drink in these five areas. I’ve got my favourites and I’ll be chasing friends and contacts for theirs too, but I’d love to hear if you’ve got any must-go places when doing business or simply just to relax post work. 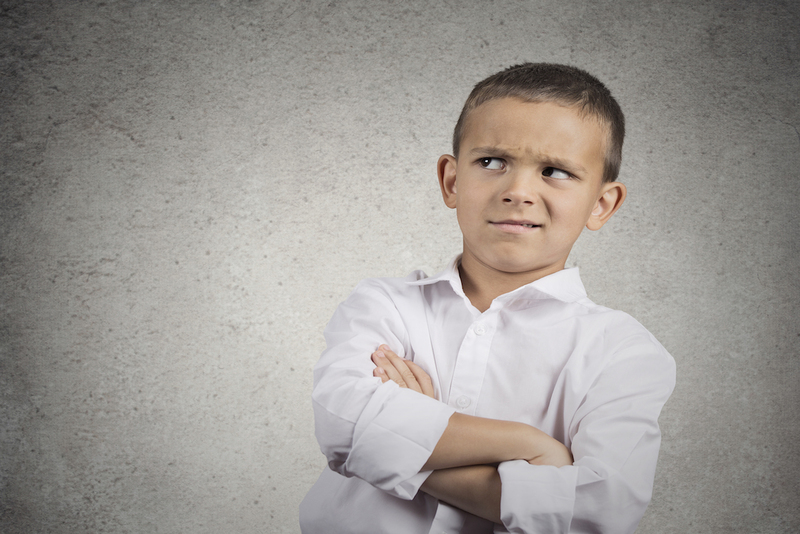 Please email me recommendations or any comments on this article at catherine@moxierules.co.uk. “Swimming with Sharks: My Journey into the World of the Bankers” by Joris Luyendijk, first published in 2015, Guardian Faber, page 6. Comparison of cities’ sizes is subject to debate and depends on how a city defines itself. 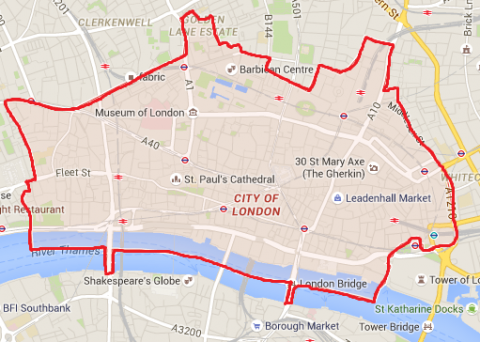 If we consider the administrative limits of each city, London is considerably bigger than other EU cities. However, if we include suburbs/ the surrounding urban areas, then other cities such as Paris are close to London in size. The September 2018 edition of the Global Financial Centres Index (GFCI 24), which ranks the major financial centres around the world, placed New York first in the index and London second, whereas in 2017 London secured the top spot. You can read the report here. Figures are taken from The City of London website here. See Tech Nation 2018 report here, section on ‘International Competitiveness’. See Financial News article here for more details on firms moving out of Mayfair as well as those expanding there.